Mike Palmateer was born in Toronto in 1954 and grew up in Don Mills as the eldest of six. He started playing hockey when he was six years old. In his first year he played in both an outdoor and an indoor league at St Mike’s College Arena. He scored only one goal in each league his first year, however, his tally jumped to ninety goals the next season and both his teams won their respective league championships. Mike had figured out how to skate and there was no holding him back! At nine years old, Mike Palmateer started playing in the Toronto Hockey League (THL). His coach brought out a set of goalie pads and asked who wanted to give it a try. The rest, as they say, is history. Mike was the goaltender for the Toronto Marlboros (Marlies) from Pee Wee through Junior A and in the 1972 – 73 season, the Marlies won the Memorial Cup Championship. In Mike’s Midget season a serious knee injury and subsequent surgery caused him to miss a year of hockey. In order to compensate for the damage to his knee, Mike began to develop his own unique and acrobatic style of goaltending upon his return. His speed and agility, together with his competitive nature, confidence and fierce drive to win took him a long way. He also wore very little padding to preserve his mobility. Palmateer was able to anticipate scoring attempts as well as dictate what moves the shooters made. In his rookie year, 1976 -77, he posted a 26-21-8 record, including playoffs with the Leafs. “Palmy” quickly became a fan favorite in his second campaign, posting 34 wins with 5 shutouts. He was a key figure in the Leafs drive to the semi-finals in the Stanley Cup Playoffs. In 1979 the Toronto Maple Leafs named Palmateer the recipient of the seldom awarded J.P Bickell Memorial trophy for outstanding performance and standard of excellence. In 1980 Mike was traded to the Washington Capitals. In 1982 he returned to his home town Maple Leafs for two more seasons before he was forced to hang up his skates due to recurring knee injuries and 14 surgeries. Palmateer, one of the most popular Leaf net minders in their history, recorded 149 wins and 17 shutouts over his career. He was extremely honored to be named #58 in the Toronto Maple Leafs all-time top 100 players in their 100th anniversary season. Soon after retiring in 1985, Mike moved to Aurora and opened Palmateer’s, a popular Yonge Street restaurant and bar, before embarking on a successful real estate career. Mike and his wife Lee raised their two daughters, Courtney & Tess, in their new hometown of Aurora. The Palmateer girls were very involved in many of the excellent sports programs available in town and both became varsity athletes at their respective universities. A testament to the quality sports programming available to Aurora residents. In 1997 Brad Selwood, a former Leafs defenceman, coach and GM of the Junior A Aurora Tigers asked Mike if he’d be interested helping coach his team. Mike’s wife saw Mike’s passion for hockey was alive and well and so encouraged him to get back in to it professionally. As a result, Palmy used his keen insight into the game of hockey as a scout with both NHL Central Scouting and for his beloved Maple Leafs for over sixteen years. 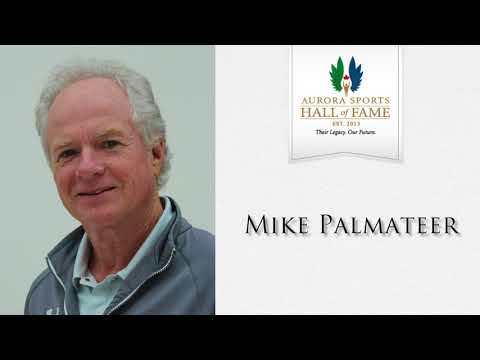 We are proud to welcome athlete Mike Palmateer into the Aurora Sports Hall of Fame. Fiscal responsibility is necessary for sustainability.